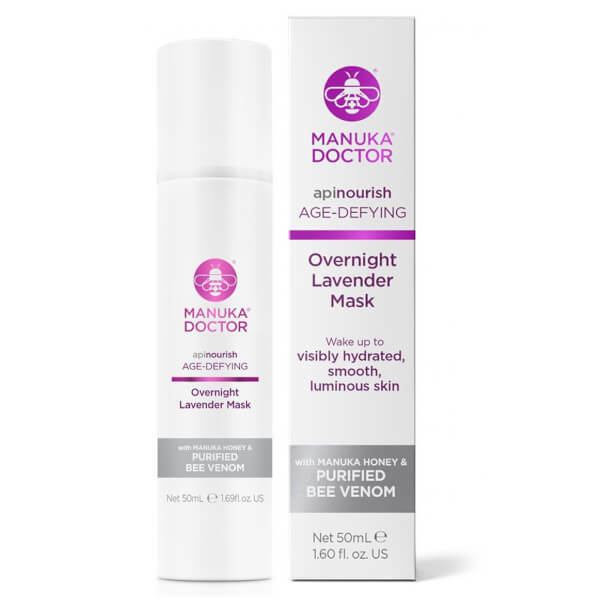 Transform your complexion overnight when skin is most receptive with the Age Defying Overnight Lavender Mask from Manuka Doctor’s ApiNourish range. Infused with the calming fragrance of Lavender Oil to aid relaxation and promote a restful night’s sleep, the mask is formulated to brighten skin and help reduce the appearance of dark circles and under-eye bags. 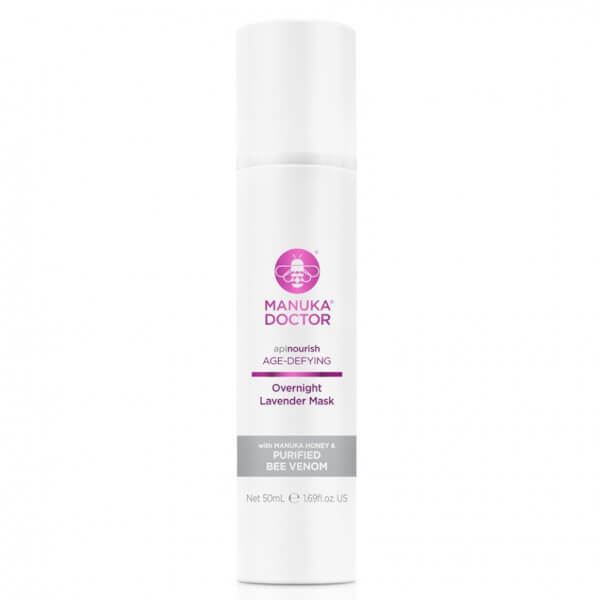 Enriched with moisturising Manuka Honey, Aloe Vera and Hyaluronic Acid, the mask deeply hydrates, firms and plumps the skin whilst an extract derived from the Nopal (or Prickly Pear) plant speeds up the skin’s natural exfoliation process to regenerate new skin overnight.